Cheers to Another 20 years! 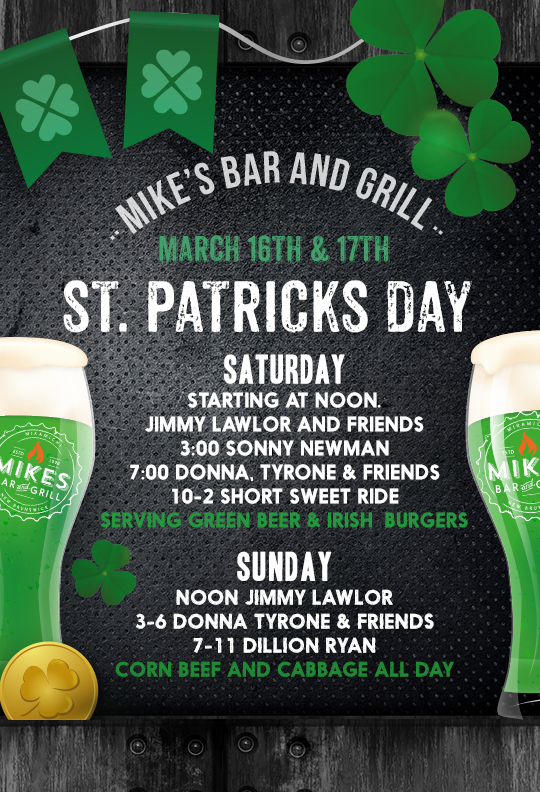 Mikes Bar and Grill have an amazing line up this Holiday Season. Don't miss out on all the festive fun ... we can't wait to celebrate with you!